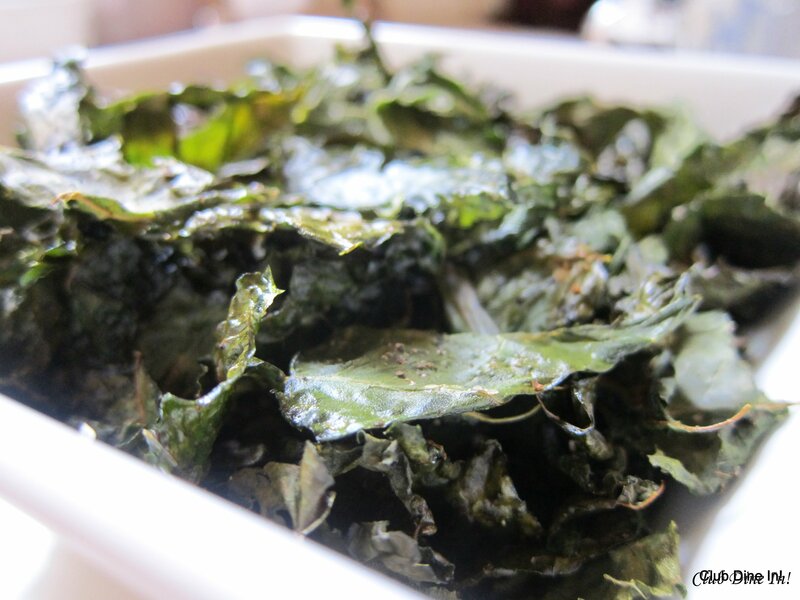 Yummy, Crunchy Kale | Club Dine In! Two weeks ago, we excitedly bought a 32 ounce container of Krunchy Kale at the farmer’s market. 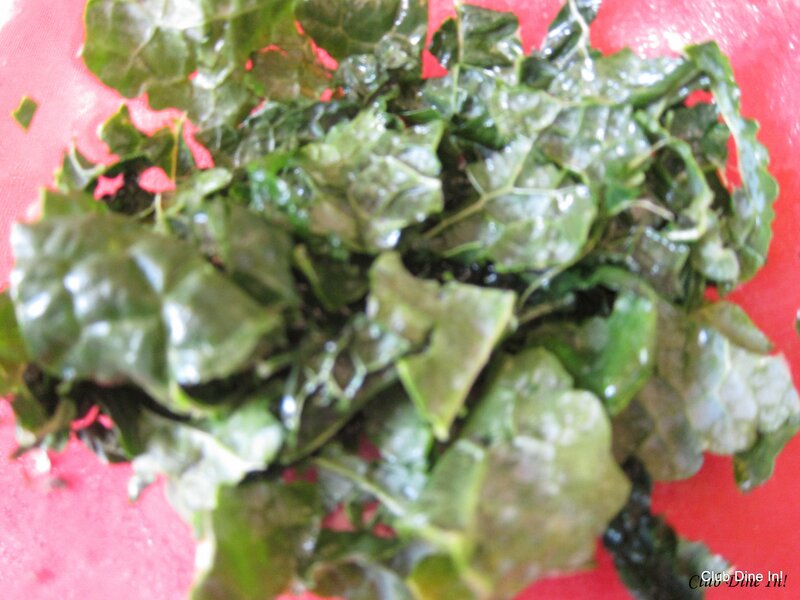 The kale was very tasty and seemed liked the perfect snack; healthy, not fried, full of vitamins, and low in calories. That is until I ate practically the entire $8 container in one sitting. So last week, I bought of a bunch of fresh, organic kale for $2.00 and was set to make my own kale chips. I carefully washed, dried, oiled, salted, and baked the kale. The prep was somewhat time consuming, but highly rewarding. 5. 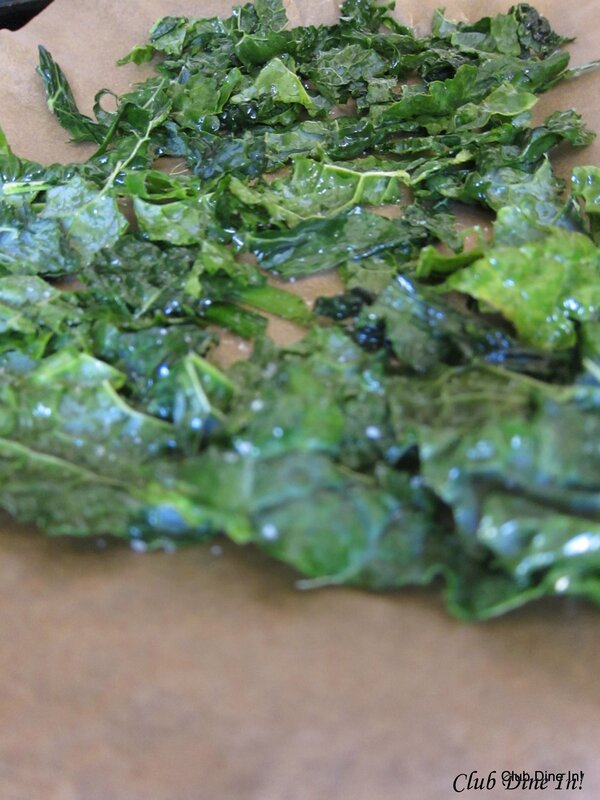 Place kale in a single layer on a baking sheet(s) and bake 6. Bake for 20 minutes or until crisp. 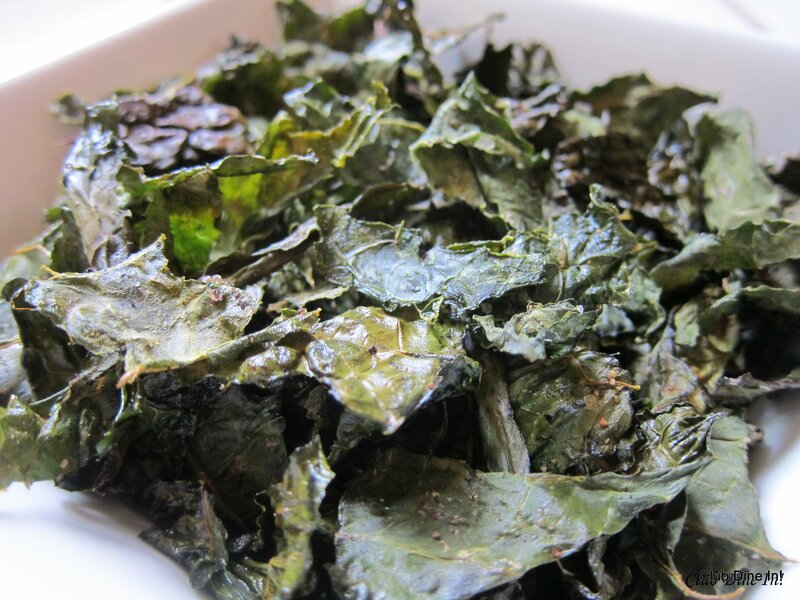 The result: Incredibly light, crunchy and sans any of the bitterness that kale usually leaves in your mouth. My friends loved it and the entire batch was done in four days. None of us have to feel guilty about, as there is hardly any calories, carbs or fat in the chips. I have to admit, the dried kale from the farmer’s market tasted better. Maybe because they dry, not bake their kale and add cashews, bell peppers and lime juice into their mix. Next time, I will season the kale with lime juice, pepper, and dried basil. 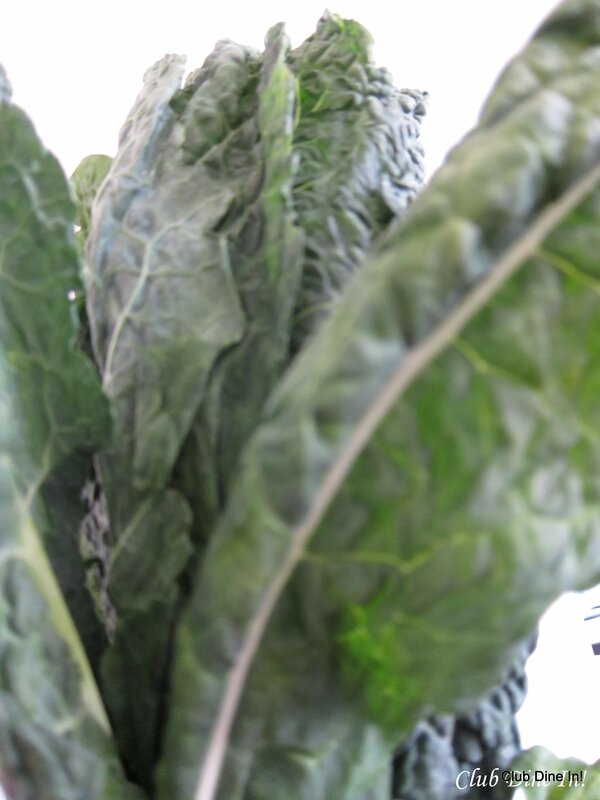 Kale- The beautiful leaves of the kale plant provide an earthy flavor, but have a bitter taste. Even though you can find Kale year-round in most markets, even Farmer’s Markets, they tend to be the best in the Winter and early Spring. Kale is exceptionally low in calories and has sulfur-containing phytonutrients. Kale is a superfood, but only if it’s organic, since it is on the Dirty Dozen list.